With a nod to television’s iconic “My Three Sons” – Fred MacMurray played an engineer and widower with three biological male offspring to raise – “Breaking Bad” gave Walter White three different young men in need of a father figure. 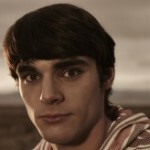 Walt Jr., who renamed himself Flynn, is Walt’s only biological son. A high school student, Flynn has cerebral palsy, and has been his cancer-stricken dad’s enthusiastic supporter from the start. His mother Skyler has hidden Walt’s criminality from the teen who, for most of the series, has personified innocence and gullibility, hallmarks of Neptune. However, in the series’ final episodes, after Flynn has been told the truth about his dad’s criminality, Junior totally pulls away from his father. He accuses him of killing Hank, calls the cops when Walt wrestles with Skyler and yells at him to die already. Over this brief period of time, Flynn becomes the family’s patriarch – the Sun. Despite so much speculation that the series would sacrifice Flynn – so the child would pay for the sins of the father – Flynn survives. And through Walt’s cannily arranging a future “donation” from the Gray Matter Schultzes, Flynn, as Walt’s biological heir, can later use his wounded-healer status to pull the rest of what’s left of his family together. If Flynn exudes Neptunian energy, then Jesse is all temperamental Mars and erratic Uranus. When Walt decides to cook meth, he knows he needs a link to the outside world, typically an activity performed by the father who encourages his offspring to step beyond the home and family. Jesse is hot-headed, the sort of truant child a father figure like Walt cannot abandon, even though Walt arranged for a hit on him. Jesse, who typically addresses Walt as Mr. White more out of habit than respect, eventually finds out how Walt has killed or nearly killed people whom Jesse loved and vows never again to do anything Walt asks of him. In the finale, Walt, who has been fatally wounded during a shoot-up while protecting Jesse, gives Jesse an opportunity to kill him. Jesse, by telling Walt to do it himself, is finally free. Driving away from the white supremacists’ meth compound, after acknowledging Walt’s existence with barely a nod, Jesse finally leaves home. Todd, a young man who was part of a contingent of neo-Nazis Walt hired to advance his meth business, is an end-justifies-the-means Saturnine individual cut from the same cloth as Walt. Expansive in his appetites for more (Jupiter), Todd is the true son of Heisenberg who enslaves Jesse to cook meth for him. Unfortunately, that behavior doesn’t set well with what remains of Walter White. In a bit of “Breaking Bad” trickery, now’s the time to mention Walt’s fourth and illegitimate son. In the finale – after Walt had said his last goodbye to Holly and watched Flynn come home from school for the final time – Walt saves his ultimate expression of affection for Baby Blue (via Badfinger). Like any proud father who sees his genes animate the faces of his children, Walt looks at his own visage in the bright mirrored steel of a piece of meth equipment. 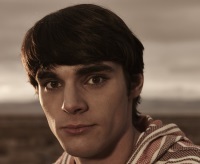 In the same way mythical Cronus ate his kids, Walter White ruins the lives of Walt Jr. and Jesse, and kills Todd. But Baby Blue is the child that kept giving. Collectively, the meth, the process and the machinery is the son Walter White cherished the most.